Our Sunday Morning Bible Study opened with the story of the woman caught in adultery. Our teacher Linda was bringing the lesson, as I took notes. The plan of God from the beginning was for one man and one woman to marry. Genesis 2:24 (NIV) That is why a man leaves his father and mother and is united to his wife, and they become one flesh. 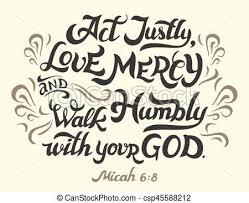 God gave Moses the law Exodus 20: and one of the 10 commandments was: “You shall not commit adultery.” The Law required both adulators to be put to death. The prophet Jeremiah prophesied Jeremiah 16:12 But you have behaved more wickedly than your ancestors. See how all of you are following the stubbornness of your evil hearts instead of obeying me. The rebellion of the Children of Israel was being likened to an unfaithful wife. Jeremiah also prophesied about sinners being written in the dust and the living water. Jeremiah 17:13 Lord, you are the hope of Israel; all who forsake you will be put to shame. Those who turn away from you will be written in the dust because they have forsaken the Lord, the spring of living water. John chapter 7:37-39 Jesus and his disciples were at the feast, and On the last and greatest day of the festival, Jesus stood and said in a loud voice, “Let anyone who is thirsty come to me and drink. Whoever believes in me, as Scripture has said, rivers of living water will flow from within them. By this He meant the Spirit whom whose who believed in Him were later to receive. Up to that time the Spirit had not been given, since Jesus had not yet been glorified. God is merciful, and he knows sin is in the heart of mankind. But Jesus came to remove the sin far from us and create in us a new heart. Why did the people use sexual sin to try to trap Jesus? Is sexual sin worse than any other sin? There is forgiveness from all sin, for those who come to Christ. I John 1:8 If we claim to be without sin, we deceive ourselves and the truth is not in us. Isaiah 53:6 We all, like sheep, have gone astray, each of us has turned to our own way, and the Lord has laid on him the iniquity of us all. The Bible likens the members of the body of Christ as the Bride dressed in fine linen, clean and white. Blessed are those who are called to the Marriage of the Lamb. Ephesians 5: 25-33 This is a picture of marriage on earth. Marriage is honorable and the marriage bed is holy. The husband is to love his wife, and the wife is to honor and reverence her husband. Each is to submit to the other in love. 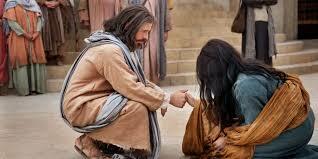 Jesus was being scrutinized and called up to charge a woman so that she could be stoned. He chose to show mercy and changed the subject. Behold Israel, I will cause them to know I AM and have power to forgive sin and then give them the ability to quit and sin no more. I love this story. We're all in the same boat; sinners without any hope of our own. It's all about our Savior and His sacrifice, the perfect and final one.